There are many things I am grateful for in this life. High on that list is blogging. Blogging has allowed me to share what is going on in my classroom with the rest of the world. It has also given me an endless supply of support from the fabulous teachers who read along with me, comment on my posts, and offer empathy, suggestions, and just an ear at times. Each of you know how to make me feel fabulous about my seemingly little ideas and know how to cheer me up when it was "one of those days". And for that, I am truly thankful. As a small token of my appreciation, I am giving you a little gift. 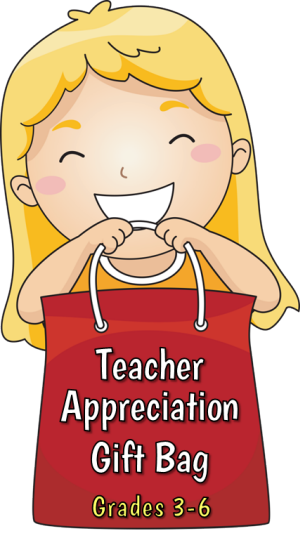 For the Teacher's Appreciation Sale (Tuesday 5/7 and Wednesday 5/8), my Time for Math Clock Creativity will be free. That's right. You can go download this little gem of a product for free for those two days. I have to tell you, I really love this one. My kids were able to show off their number sense and I was left with an awesome (and easy to put together) bulletin board! The kids are STILL talking about this project all these months later. And since it is adaptable to many different grade levels, and many different skill sets, I thought it would be the perfect way to say Thank You for following me along on this journey. Rachel is the task card queen. She makes cards that are easy to use for both the teacher and the students, but with academic rigor attached (and you all know how I love those words!) 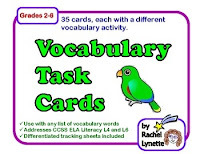 The Vocabulary Task Cards she is giving away are perfect for any list, and really ask the kids to THINK about the words they are using. I have added these cards into my Test Prep Rotations and the kids are really taking to them. Since they are so open-ended, they really are quite easy to use. 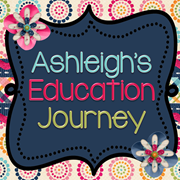 Ashleigh is a teacher who loves the same types of things I do. 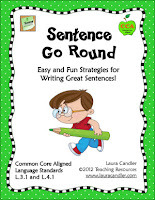 I am always seeing spiral review and "get the most bang out of the buck" in her visual lesson plans and products. She thinks about the standards as a whole and gets to the meat of what it is she needs to teach. Her Simplifying the Scientific Process is an example of this. She has managed to take something that is very hard for the students to fully internalize and break it down into simple, manageable chunks. 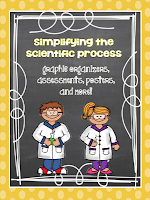 Since we are in the midst of Science Fair season, this is the perfect thing to grab! Who doesn't know Laura? I am sure most of you have at least one of her creations in your classroom! She really has such well thought out products that are geared towards getting the kids working together and talking. This Sentence-Go-Round product is one that does just that. The students work together to figure out different sentence types....thinking and talking the entire time. What I LOVE about this product (and all of hers really) is that everything you need is there. 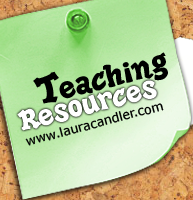 The worksheets, activity cards, student prompts, lesson plan....EVERYTHING! No need to create anything here. Laura has done the work for you. So there you have it folks. Five amazing freebies for you as a token of our appreciation and gratitude for following us all. We know we would not be where we are, with the experiences we are having in this blogging world, without your help. We are eternally grateful to each and every one of you. 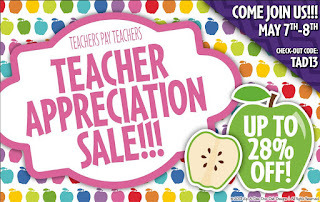 I will leave you with the banner for the TpT Teacher Appreciation Sale. My entire store (as well as the stores of all the ladies above) is on sale for 20% (including all Bundles....great time to get them for the new year!) If you enter the code TAD13, you will get an additional 10% off. So head on over now and stock up for September! Here is my latest product too! It is a great way to keep your kids academically challenged, yet having a bit of fun as well. Thanks so much for gathering up the goodie bag! I can't wait for Tuesday to get some shopping done at TpT. I use your "Paragraph of the Week" and absolutely LOVE it. You are amazing....Have a great week! My kids really did love it. I hope yours do too! I love sharing, thank you for your creativity!